What Does The Best Bond Cleaning In Paddington Cover? Finding and selecting reliable house cleaning in Paddington is not easy. The most common questions we get asked by people like yourself have been collated below to assist you in making a smart decision. 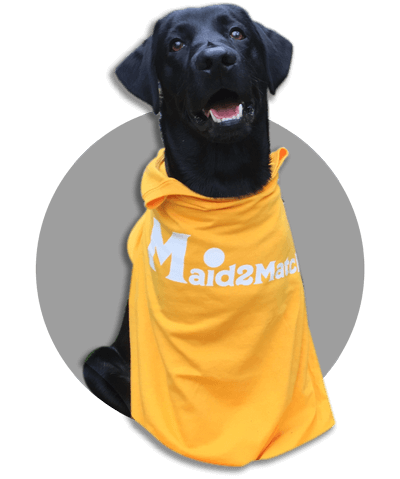 WHY ARE MAID2MATCH PADDINGTON’S BEST AT VACATE CLEANING? The truth is great bond cleaners possess a different skill set than regular house cleaners and therefore requires specific experience, dedication, and a first-class cleaning checklist. At Maid2Match, we personally vet all our cleaners, after having them complete a three-part application form. We provide extensive support and have crafted the most effective bond cleaning checklist you’ll find. If you are looking for guaranteed bond back cleaners be sure to contact us today. An inner Brisbane suburb, Paddington is just 2 kilometres south of the Central Business District. The hilly landscape is gorgeous, filled with abrupt ridges, and you can admire plenty of traditional Queenslander houses that were built on actual stumps because of the steep landscape. An up-market, expensive suburb, Paddington offers a lot of nightlife entertainment. Since Paddington is close to a number of important universities in the area, it’s no wonder there are plenty of nightclubs here too. You can enjoy a night out at the Paddington Tavern for instance, which hosts some amazing comedians on its Sit Down Comedy Club. With its energetic coffee culture developed in the 1980s, you can find plenty of stylish or quaint cafés here, right alongside a plethora of restaurants, bars and shops on the main road system from Caxton Street to Given Terrace to Latrobe Terrace. Or you can always go for a walk in the park, in the many peaks of this suburb. Paddington is a cultural node too, featuring tons of art galleries, so many artists, musicians and writers have made it their home. The “Kookaburra Folk Music Club” is one of Kookaburra Café’s vibrant events you can enjoy, but you can also see one of the plays at Brisbane Arts Theatre, on 210 Petrie Terrace.